Orange, Sunrise and Swisscom have formed a working group, open to all, with the aim of developing a standardised, national NFC platform from early 2010. 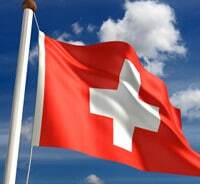 Orange, Sunrise and Swisscom, Switzerland’s three leading telecommunications companies, have formed a joint working group to promote the mobile phone as a means of payment. Together they plan to compile a set of standards for the introduction of NFC-based payments, electronic ticketing and electronic access control applications, with the aim of making it easier for service providers in various business sectors to adopt NFC. “More and more companies want to provide services that can be ordered, paid for and even partially obtained over the mobile phone or the internet,” say the companies. “Such services range from online or in-store purchases to ATM withdrawals and even electronic tickets and this necessitates the involved parties following uniform standards and processes. As a first step, the working group will put together an overview of the current market and user requirements over the course of the coming year. This analysis will then be used to identify and develop the applicable standards and the key success factors of mobile payment and mobile contactless services. The objective by the end of 2010 is to be able to provide service models to banks, transportation companies and trading firms to support their electronic services in the best way and to deliver added value. In order to ensure cross-border functionality of mobile payment and mobile contactless services, the group is also taking into account the standards used by international standardization organizations such as ETSI , GSMA , EMVCo and the NFC Forum. The work group is open to all licensed network operators and virtual network operators. Any business with an interest in NFC that wishes to actively contribute can also register as a partner.